Beethoven* - Wilhelm Backhaus, Clemens Krauss, The Vienna Philharmonic Orchestra* ‎– Concerto No. 5 In E-Flat Major For Piano And Orchestra, Op. 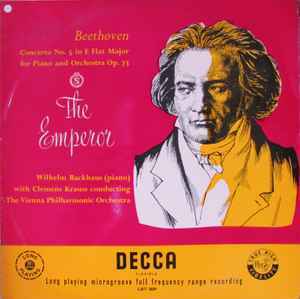 73 "The Emperor"